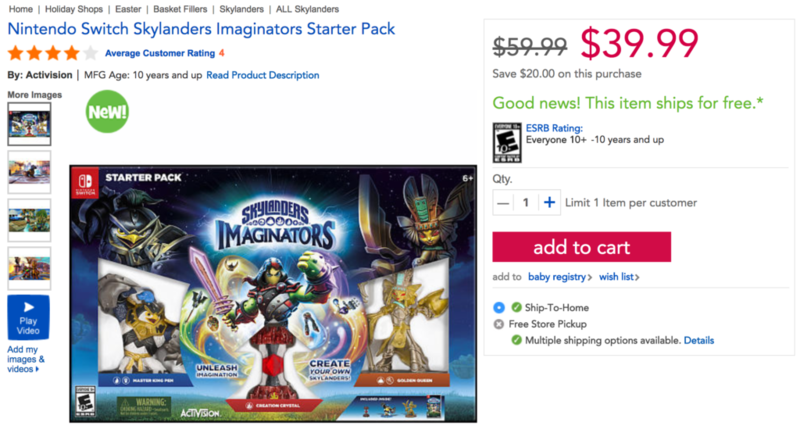 If you’ve picked up the Nintendo Switch and waiting to get a good deal on the Skylanders Imaginators Starter Pack, two retailers are offering it for $20 off right now. You can go ahead and pick up the Nintendo Switch version at either Amazon or Toys”R”Us to get it for the sale price of $39.99. Have you picked up the Nintendo Switch version of Skylanders Imaginators? Let everyone know your thoughts on it in the comments below!